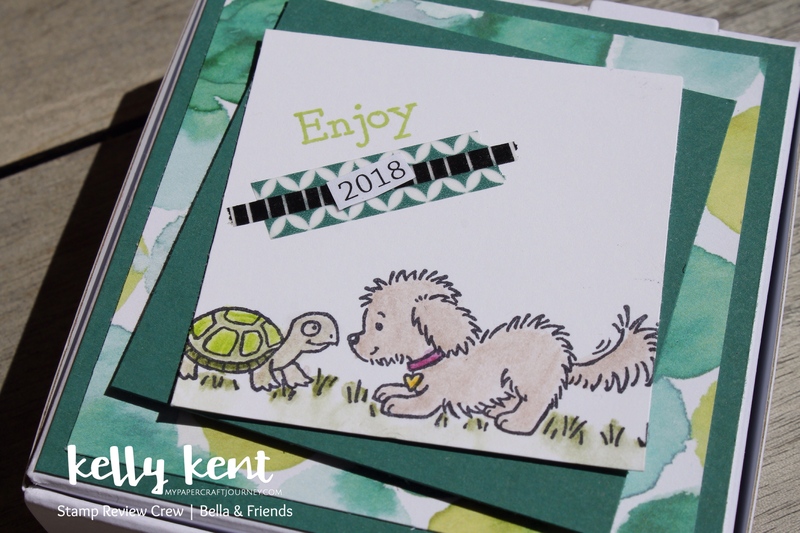 What a great way to start 2018 – with a Stamp Review Crew blog hop! 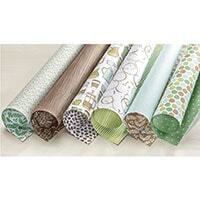 Thanks for joining our group of international demonstrators as we all showcase a stamp set. You can find the main SRC post here. 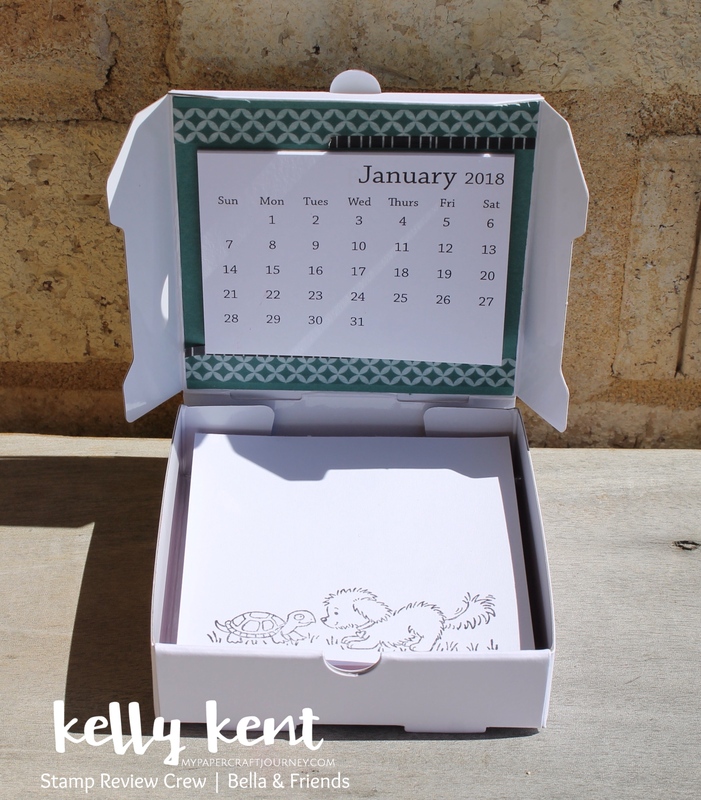 You are starting the New Year with Kelly Kent in Bunbury, Western Australia. You may have already visited Nikki on the east coast of Australia, and the next stop is Cindy Elam in the US (I think it’s still 2017 there!). 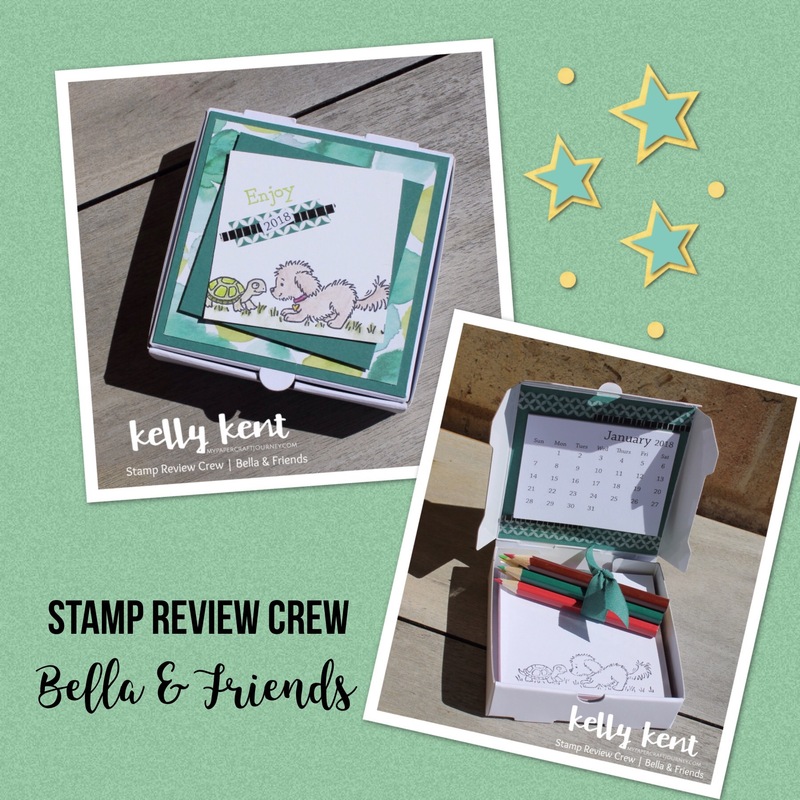 Today’s stamp set is Bella & Friends from the Annual Catalogue…. 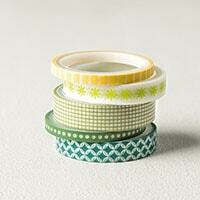 It’s the perfect set for any project that needs to be cute! 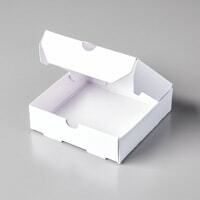 Although I often make cards, for my blog projects, I’m starting this year with a 3D item using a Pizza Box as the base. I’m was so happy to hear that these cute little boxes will continue to be available into 2018! 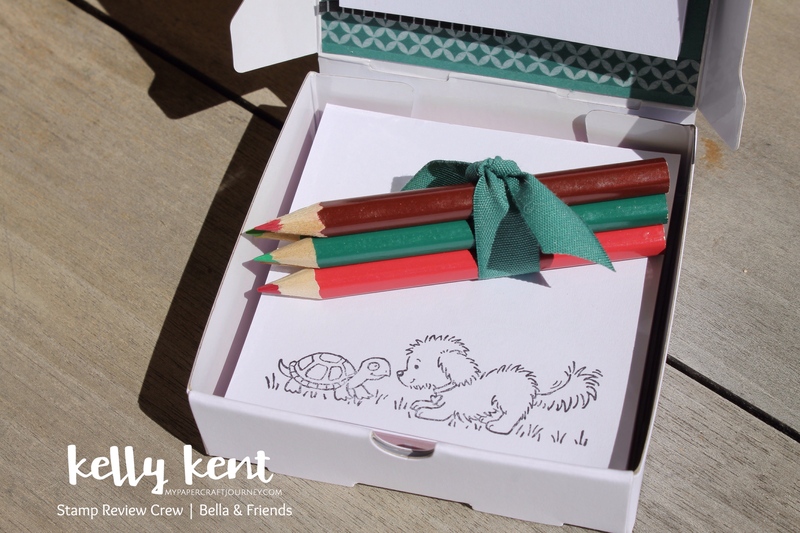 Bella & her turtle friend are coloured using Watercolor Pencils & smoothed over with an Aqua Painter. We have so many amazing colouring options in the range at the moment! 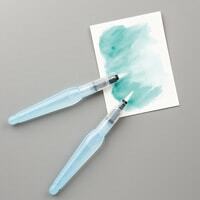 Have you gotten your watercolour pencils out lately? I’d been neglecting them, but after playing with my Lots of Happy kit during the week, I was reinspired. 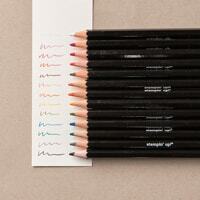 That’s where I borrowed the Lemon Lime Twist Pencil from – there’s a few sneaky new colours!!! 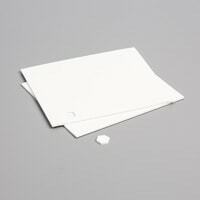 I’m thinking that this would make a great ‘by the phone’ type pad – only no one I know has a tabletop phone anymore!!! 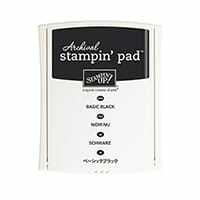 But a notepad you have lying around the house for when you need to jot down a shopping list, phone number or leave a note for someone. And since there’s cute pictures, I thought it would be good to include some colouring pencils to up the fun factor! I’m sure you spied the calendar on there – it’s always handy to have a calendar on hand when you’re planning ahead!! I love the size & quality of these calendars available from Craftie Cafe. 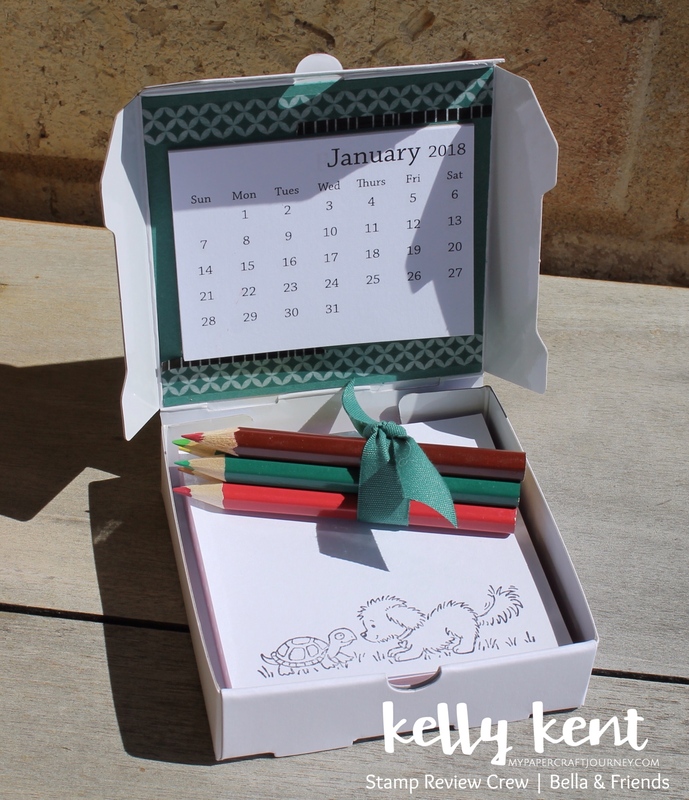 Plus, it’s the time of the year when having calendars on projects is very practical! The paper pad came from Kmart Australia I had in my stash. I can’t find it on the website at the moment, so it might not be available at the moment. It measures 8cm x 8cm. Thanks for joining me for this edition of the Stamp Review Crew! 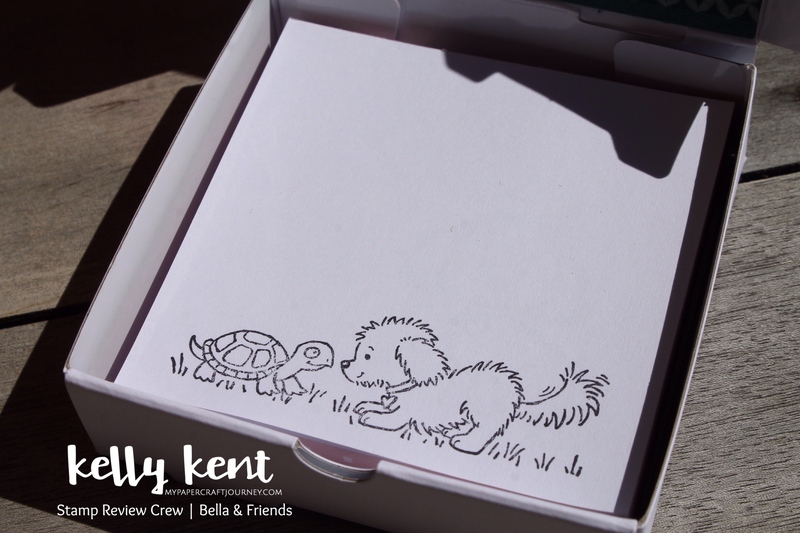 Hop over to Cindy Elam to continue with cute & cuddly inspiration featuring Bella and her friends! Happy New Year – I hope 2018 is wonderful for you & your loved ones! ‹ PreviousHave a Magical 2018! 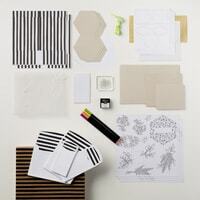 Next ›Holiday Catalogue is Flying Back to the North Pole! Super cute and clever, Kelly!! I can’t believe you stamped all of those pages!! 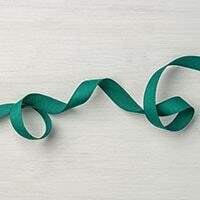 What a great idea and a lovely gift. Kelly, you have outdone yourself with this one! Love the reference to 2018 on the cover but thought what it had to do with a pizza box! I found out! Brilliant! Oh my gosh, this is such a cute idea!!! Brilliant as usual, Kelly! You never cease to amaze with your creative ideas missy. 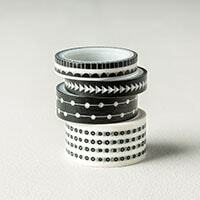 I just love this – and the fact that you stamped each page. The addition of the teeny pencils is genius.